The day winds down as a winter storm gears up. 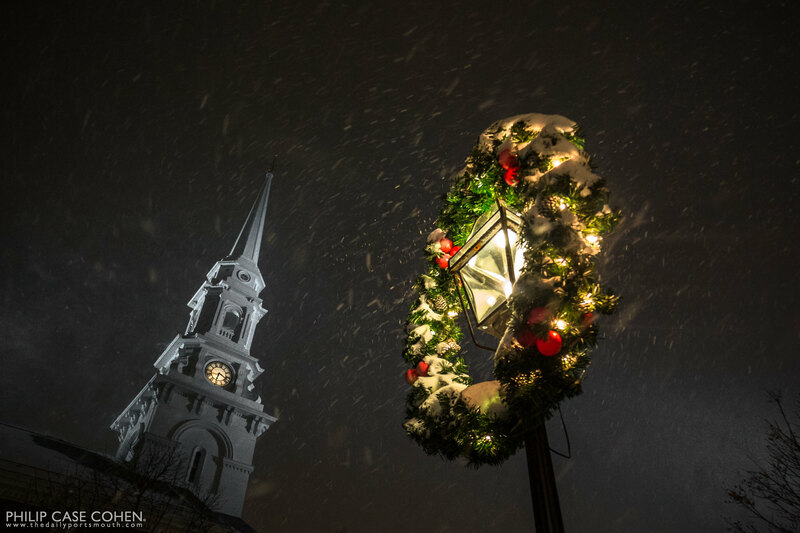 Twilight sets in with grey skies and holiday lighting in downtown Portsmouth. Thank you to everyone for all of your support and kind words over the years and once again in 2013. As always, I have enjoyed heading out with my camera in pursuit of the character that defines Portsmouth and the seacoast, and managed to see some unbelievable sunrises/sunsets and storms in the process. I want to wish everyone Happy Holidays and a very Merry Christmas to you and your families! 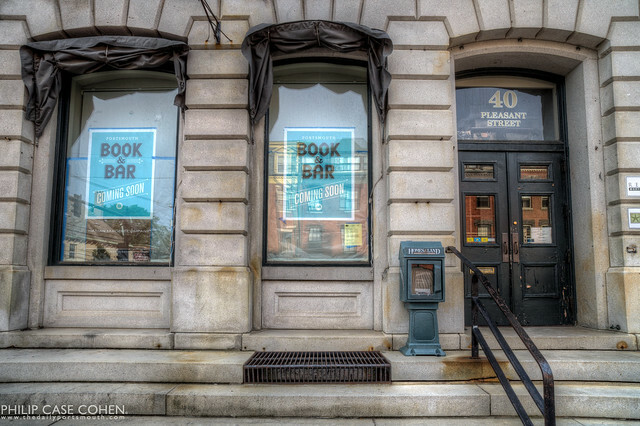 I’m looking forward to seeing what the feel is like once they’re open – and to what it will bring to our downtown. “What if Portsmouth had fling with a Latin Lover? What if mojo filled the streets, steaming with the heat of Cuban, Spanish and Latin music? What if you could drink a caipirinha on a Tuesday night? 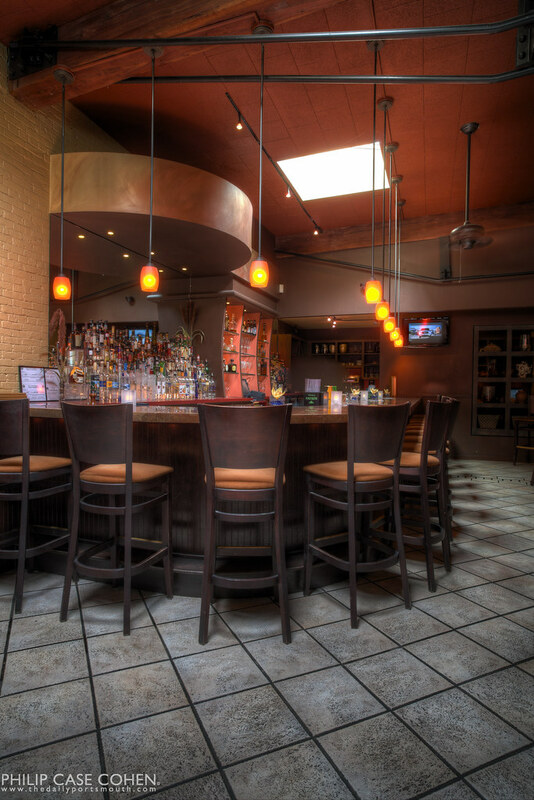 Or Salsa with someone you’d never met?” To top it off – they have Latin Night and dancing on the first and third Fridays of every month (with a live salsa band). If you haven’t stopped in yet, you probably owe it to yourself to check it out. I hope the photo is one more vote of encouragement. 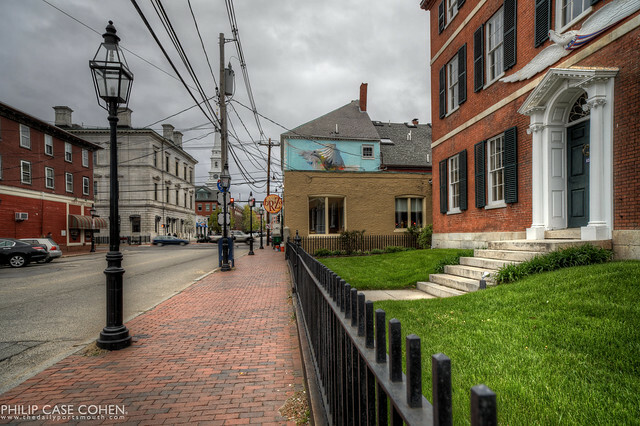 Here is a view of Pleasant Street and the dove above Brazo courtesy of Case (good name – I might add!). This is probably one of the most missed murals in town, neatly tucked above Brazo in somewhat of a natural setting. The shot below by Alexandros Vasmoulakis is probably one of the most commented on in town, as far as I’ve noticed. 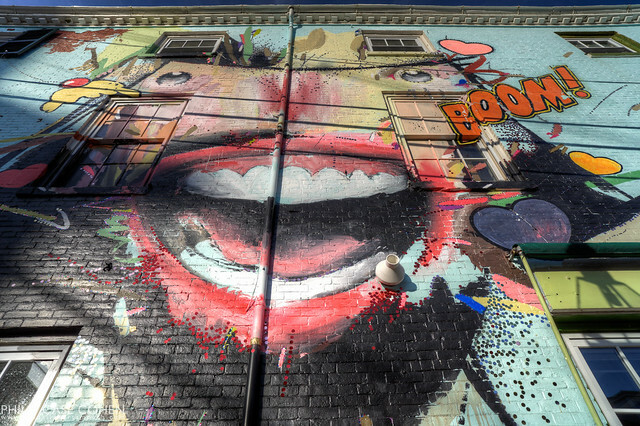 The mouth and vibrant colors are definitely striking – especially when you don’t expect to encounter a giant piece of street art. 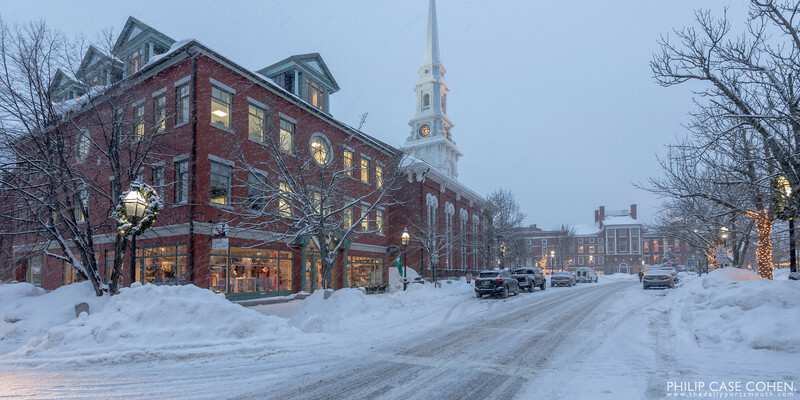 I’m not sure that it’s “Portsmouth”, but I think that’s part of the whole point – it’s gotten a great dialogue going…and has made the Marple & James building a bit more interesting for a few months. A new surprise on the Pleasant Street side of the Marple & James building made an appearance this afternoon in Portsmouth. After I got out of work in the afternoon, I was quite surprised to see someone making their mark on the wall with a ladder on site and everything. Pretty cool to see this going up in real time, and shocked I didn’t notice it sooner. I’m curious to see if it’s all done – and to hear more about how and why this art made its way to Pleasant Street. Portsmouth has had some pretty cool events over the past few years. One of the most successful recurring events seems to be Restaurant Week, which is put on by the Chamber of Commerce in partnership with a multitude of local eateries. One of the restaurants I’ve heard fantastic things about time and time again is The Green Monkey on Pleasant Street (owned by the same folks who own Brazo, which I also love). If you have the chance, treat yourself to one of the 3-course prix fixe meals at one of the fancy places downtown before Restaurant Week winds down for 2010 on November 13th.